Directions: Sprague St. To Stoughton Rd. Or Greenlodge To Stoughton Rd. "In Winter, I plot and plan...In Spring, I move." - Henry Rollins. Your search is over! Time to plan your move for this Spring. 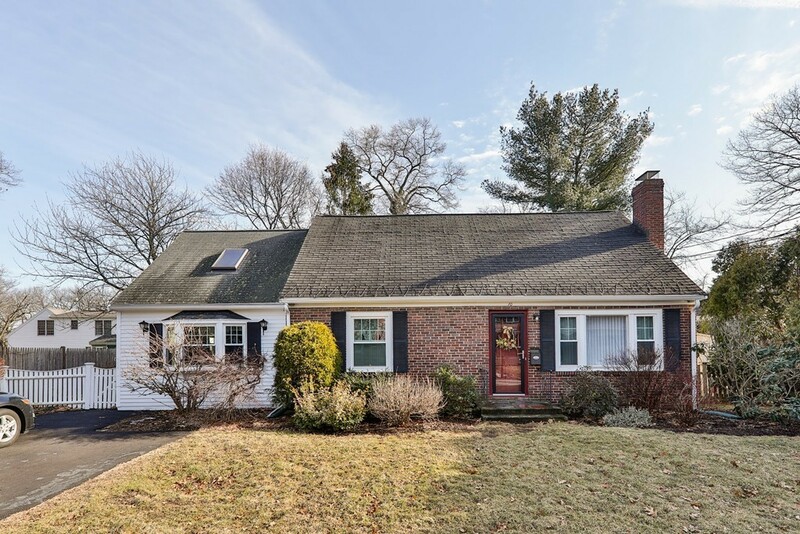 This oversized, full dormer Cape with family room addition is quite impressive. If you enjoy entertaining you will instantly fall in love with this kitchen. Maple cabinets with beautiful granite and breakfast island that opens to dining room and vaulted ceiling family room with skylight and fireplace. Step through the slider to oversized deck and fully fenced back yard; great for spring gardening and summertime gatherings. Another unique characteristic for a cape, 3 bedrooms are on the 2nd level and bonus 4th bed on 1st floor. 2 fully renovated bathrooms. The lower level has great space that is used for additional living space. Plenty of storage and nice laundry space. Conveniently located to the commuter train and the highway. Shoppers will appreciate the proximity to shopping at Legacy Place and University Station. Open House Sun Feb 10th, 12-2pm.